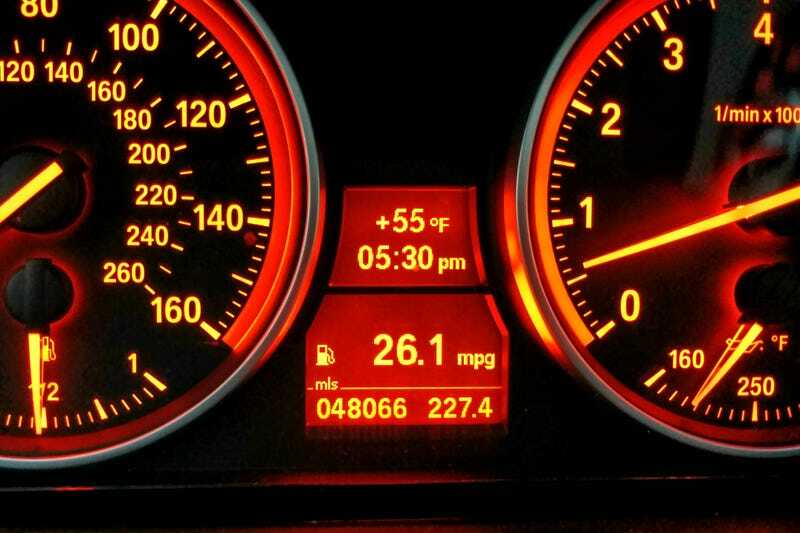 This is, I believe, the highest average fuel economy I’ve seen in my 335xi. I filled up my tank on Thursday night and made a 160 mile mostly interstate & 2-lane highway trip over the weekend. Not bad for ~400 hp*, AWD and ~3600 lbs. I’m sure it’ll only go downhill from here. * Ballpark estimate of crank hp based on mods (intake, charge pipe, intercooler, downpipe & tune). Still need to get some dyno time.